Welcome home to this quiet neighborhood in District 38! Enjoy the openness of the main level with hardwood flooring throughout the entry, great room, and kitchen. Finished basement with 2 additional bedrooms, full bathroom, and Sauna. Relax and enjoy the beautiful mountain views from the covered patio area on this large corner lot. Plenty of room for all your toys in the 3 car plus tandem garage. Basement has pre-plumbing for wet bar. Room with Sauna has a bathroom rough-in and could be finished as a junior suite. 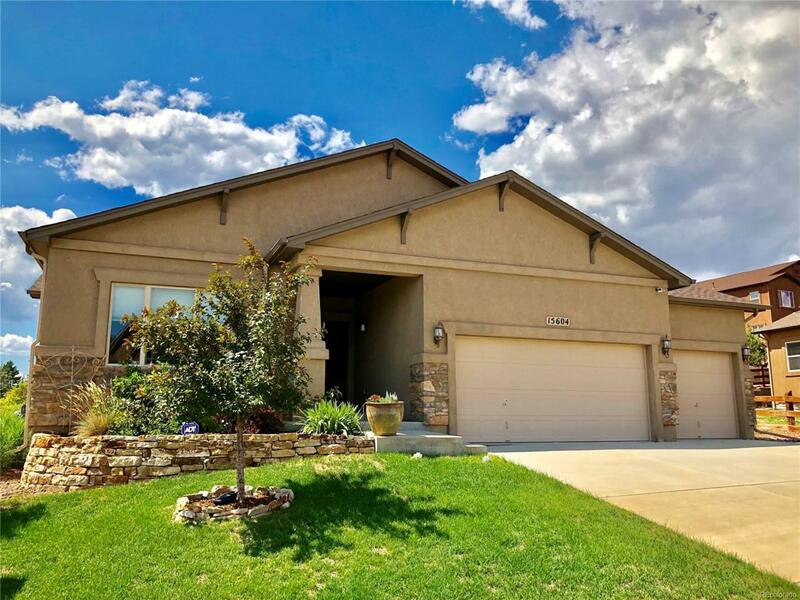 Great location, 30 minutes to Denver Tech Center, and 10 minutes to Air Force Academy. Neighborhood park less than a block away. Move-in ready, come see it today! Offered by Keller Williams Premier Realty, Llc.